One of Sony's top developers is planning its transition to future hardware. 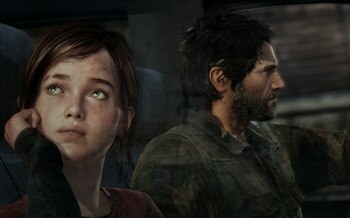 Naughty Dog is one of the undisputed heavyweights of the PlayStation 3, having developed a trio of well-received Uncharted titles as well as the upcoming survival adventure The Last of Us. But despite this glowing track record, Naughty Dog's top men told Eurogamer that the early days of PS3 development weren't the company's proudest moments, and that's something they hope to avoid in the transition to Sony's next console. "We had a pretty bad experience when we moved from PS2 to PS3, because we made some stupid mistakes," Naughty Dog co-president Christophe Balestra claims. "And that was totally our fault. And also we were going from PS2 to PS3, the shaders were different and things like that, and we had a lot to learn. I think we've caught up though - I think our games look pretty good, so I feel like we're fine right now." Balestra also notes that the company is already poised to work on games for the PlayStation 3's successor. "It's true - moving on to something else after PS3 might mean more people, but we're not sure just yet. It's about the quality of the tools, and about whether you can make something smarter. My guess is that they will expand - you'll have more this, and more that - you'll always have something more. In terms of our art, we always create our assets at a higher resolution than what you see in-game. A lot of our pipelines are already ready to move to something superior to the PS3. But it's scary." Sony is expected to reveal the PlayStation 4 tonight at the company's PlayStation 2013 event in New York City, and as one of the company's flagship developers, we likely won't have to wait long to see Naughty Dog's logo on a next-gen PlayStation title.